Summer 2016 marked the 50th Anniversary of Longleat Safari Park. Brunskill & Grimes were commissioned to create an end of day theatrical celebration featuring a large scale puppet, floats, dancers, live music and interaction with the audiences. 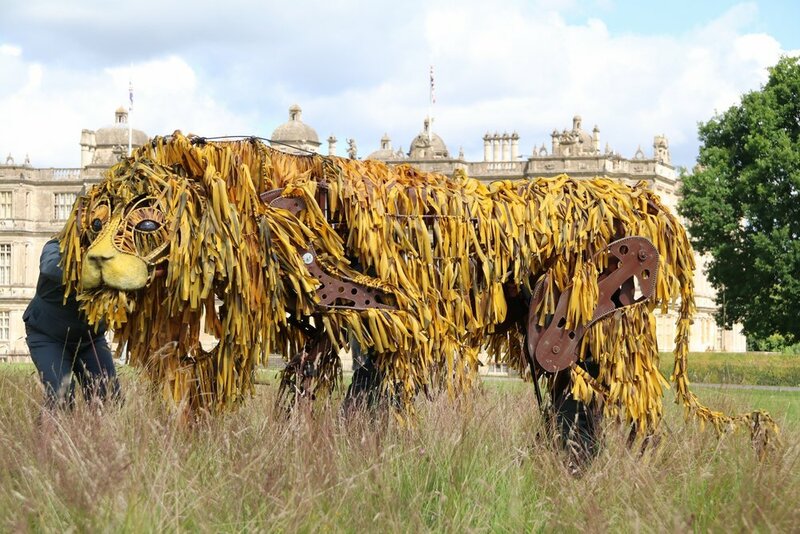 Jimmy designed and built a 7ft tall lion puppet and worked with professional puppeteers as well as training staff from Longleat to puppeteer. Andy directed the event which was attended by thousands of visitors each day over the Summer.